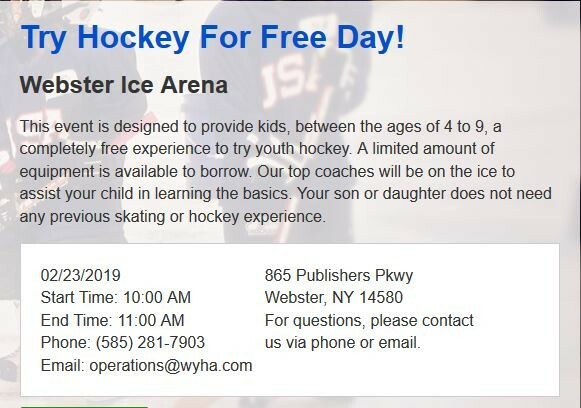 Webster Youth Hockey is located in Rochester NY ! * Obtain a Release from WYHA to tryout at another organization for 2019-20? * Travel & Girls Tryout Dates. Empire House Evals dates. See posting below! * What our WYHA Official Apparel Vendor offer? The Rochester Americans are heading back to the playoffs and we want YOU to be a part of the action. As a thank you for your past support, I want to share with you a special discounted offer to check out the Amerks in action for the playoffs. Game 1 of the Calder Cup Playoffs will be Friday, April 19th, 7:05pm and Game 2 will be Sunday, April 21st, 3:05pm. Both games are at Blue Cross Arena and our opponent for the First Round will be the Toronto Marlies. Game 5, if necessary is also included as an option and would be on Sunday, April 28th, 5:05pm. Questions? Contact me directly at 585-286-9932 or Nicholas.mongelli@amerks.com. We look forward to seeing you here! 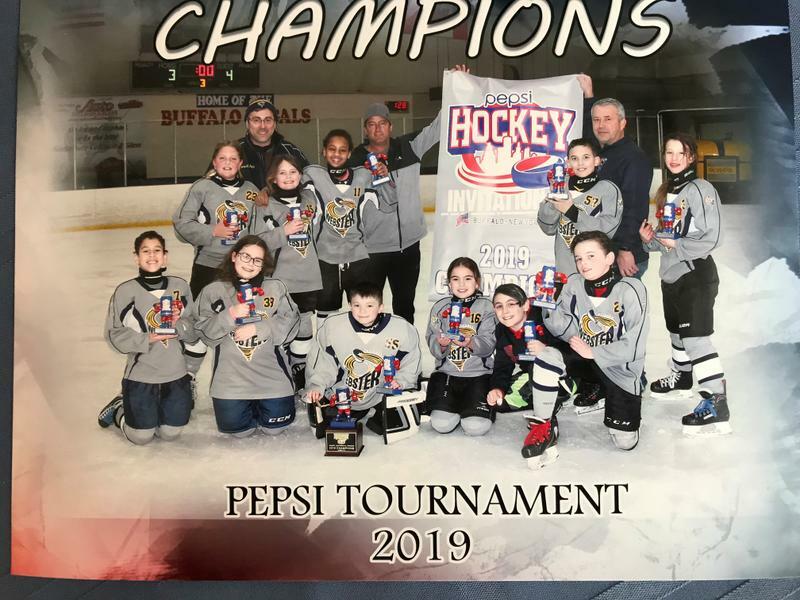 Squirt Taylor coached by Pete Taylor won the Squirt/Atom Continental Championship with a tight 4-3 win over Skaneateles Squirt team on Sunday 3/17! Go Cyclones! Squirt Taylor went 2-0-1 in the preliminary round. 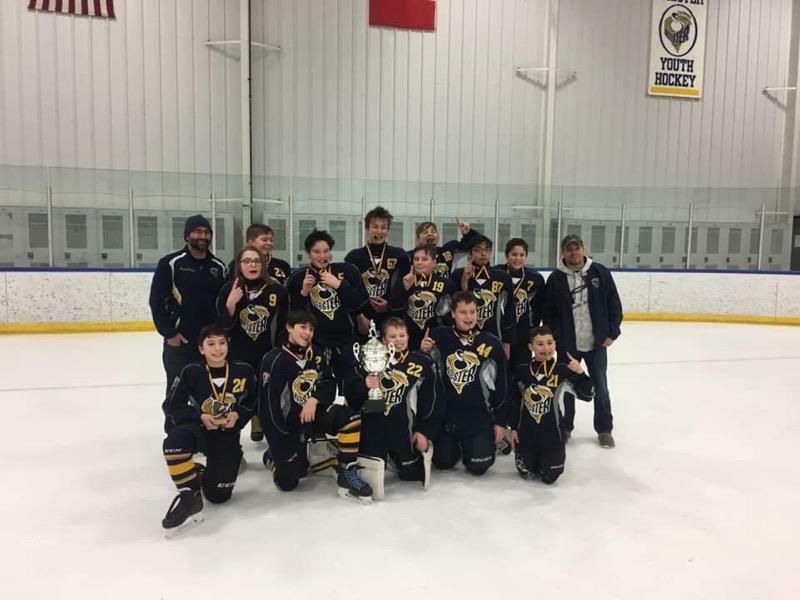 The Webster Empire team coached by David Weiss won the Webster Youth Hockey sponsored Boulter Classic 12U North division this past weekend March 1 thru 3. 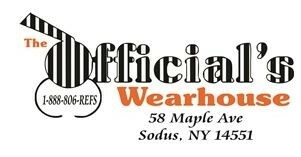 On Friday, 3/1 they won 7-2 against Bud Bakewell MOHL team, then beat the Buffalo Bisons MOHL team on Saturday 7-1. Sunday morning they tied a tough Hamburg Hawks team 3-3 to qualify for the finals. Then they played Hamburg again Sunday afternoon pulling out a tough 5-3 win to win the Boulter 12U North Championship. Go Cyclones! Full results for Weekend #1 of the Boulter Classic (12U & 18U divisions plus Skills Challenge results) can be found at: https://www.wyha.com/events/boulter-classic-tournament-schedules-and-standings/380 This link will also have the results for Weekend #2 of the Boulter Classic which has 8U, 10U and 14U divisions. Girls 19U Hyde GLGHL Champs! 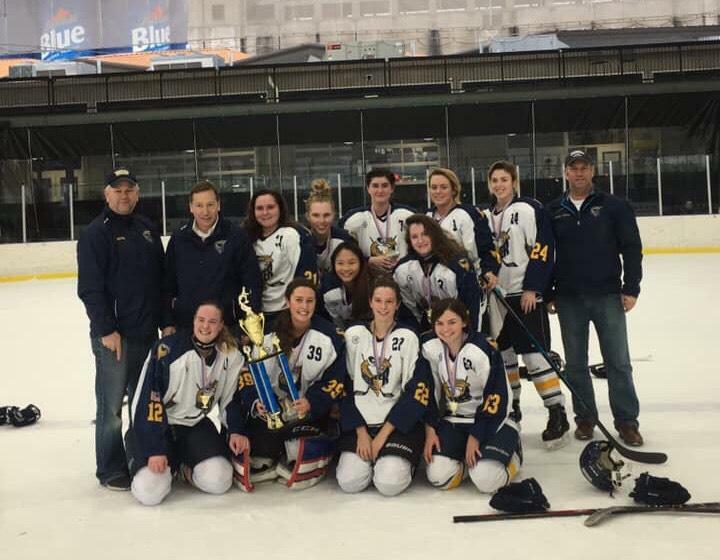 Girls 19U Hyde won the GLGHL Championship on 2/23/2019 at Buffalo Riverworks!! Go Cyclones! 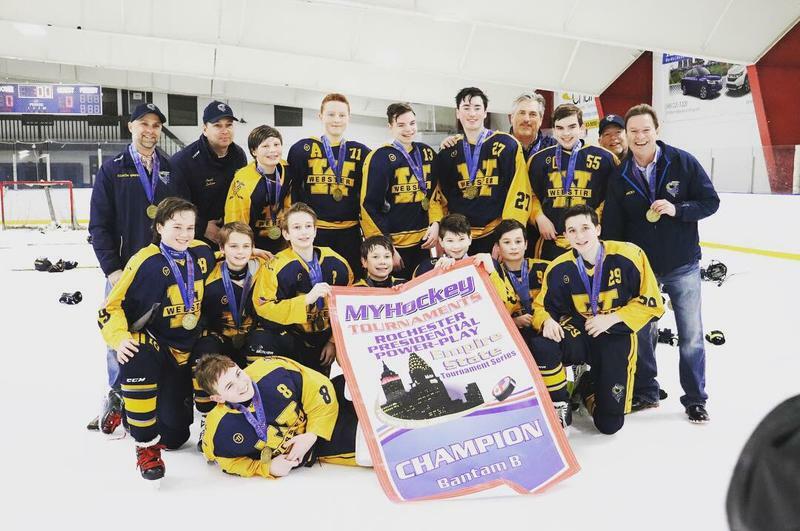 Congratulations to the 13U Yancey Travel Team on their win at the MyHockey Rochester Presidential Power Play Tournament on February 16-18, 2019. 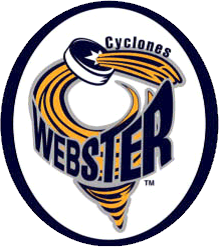 After a 1-1 tie against a tough Tonawanda Lightning team on Saturday, Webster beat the Lehigh Valley Phantoms 5-2 on Sunday morning, then lost a tight game against the Lockport Lockmonsters Sunday evening. 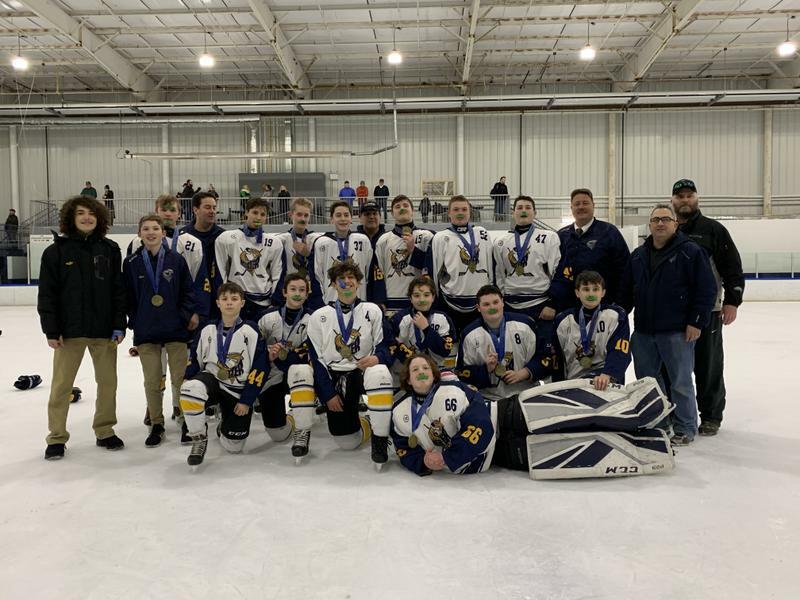 Needing a win against the MCYH 13U team on Sunday am to advance, Webster pulled off an exciting 4-1 win and advanced to the Championship game on Monday afternoon against the undefeated Lockport team. Webster played an excellent game as a team to pull out a 2-1 win against the undefeated Lockport team and win the Bantam B division. 10U Red Team - the Game Goes On no matter the challenges! 10U Red, A team who embodies the spirit of the Webster Cyclones! Awesome Job! My name is Jeff Schremp and I am the president of Fulton Youth Hockey. This past Saturday we had a pipe burst at our rink and had 3 inches of water everywhere in the building. Our Zamboni didn’t have water and we couldn’t cut the ice. Your squirt team was scheduled to play our squirt team. Your coaches and parents were awesome!!! They jumped right in to help out any way they could. There was no complaints when they had to play on “used ice”! They couldn’t have been any more understanding!!!!! Please make sure they know how grateful we are to them. 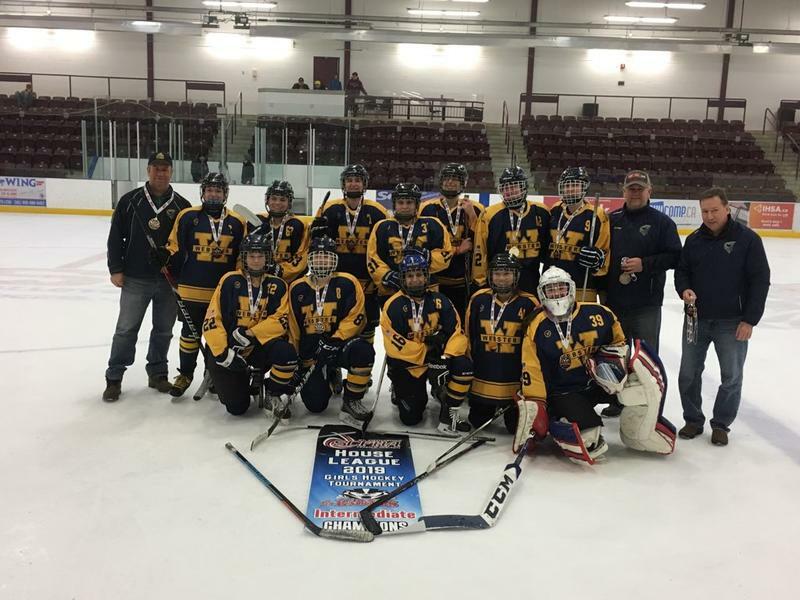 Webster's 19U Girls won the Brock Jr. Badgers Tournament over the weekend of 1/18-20 in St Catherine’s Ontario by going undefeated. The Championship game resulted in a 3-0 win over the London Devilettes.